Almond is not normally a shade I would go for, I really like to have bolder colours on my nails typically, but lately I've been reaching for this muted taupey colour quite a lot as its chic, easy to wear and fits that 'greige' label I've been loving oh so much. 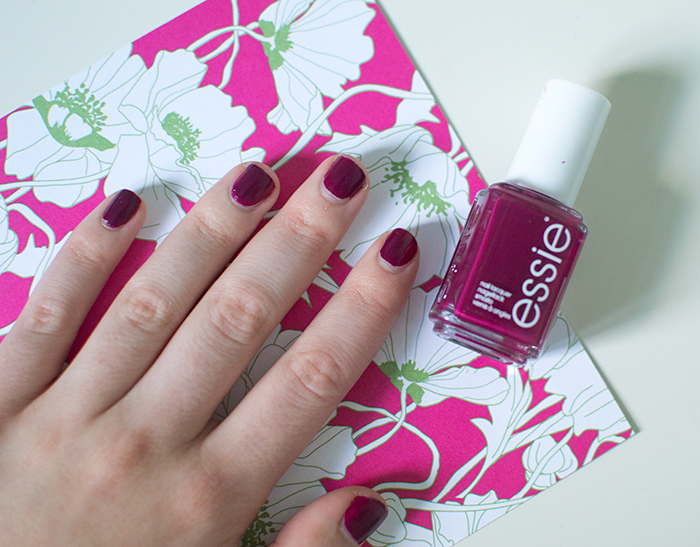 Moving on to something a bit more stereotypical for autumn is this beautiful berry shade from Essie. 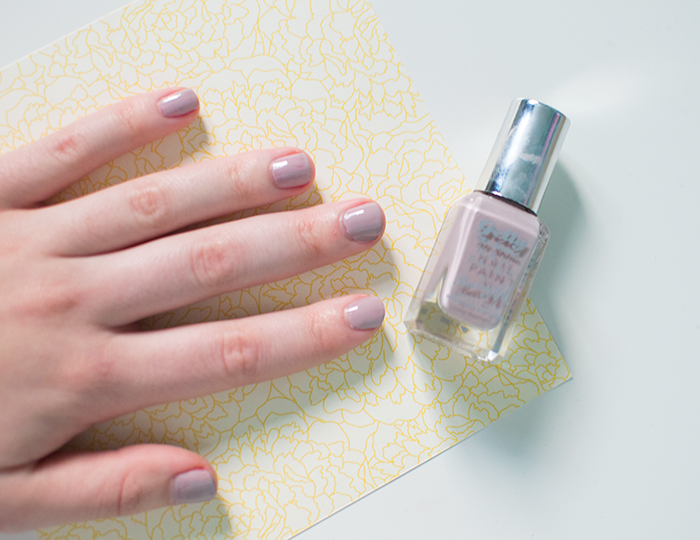 I love how deep Bahama Mama is without looking too dark on the nails, I find this one can instantly lift an outfit. The formula isn't the best, it's quite watery and took 3 thins coats to get the shade shown in the picture below, but I think the colour result at the end is worth it. 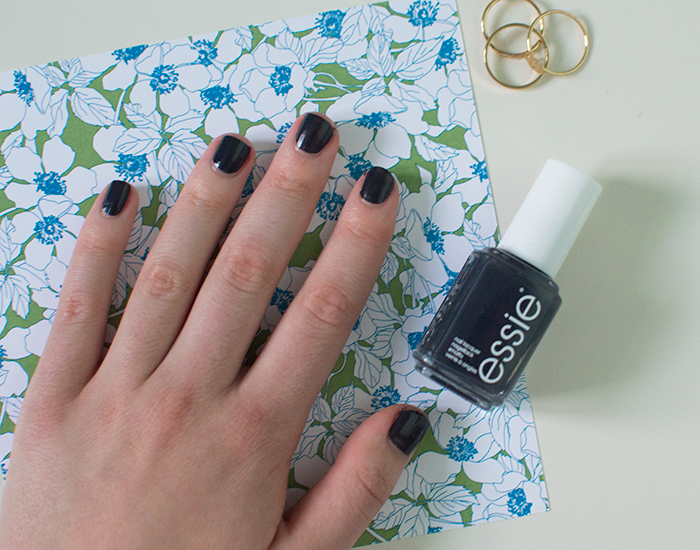 Despite this shade looking rather black in the picture, Bobbing for Baubles is actually a deep navy shade which I love love love! I'm one of those few people who does actually like to wear black on my nails but I love a dark shade with a twist even more. The formula is really nice on this one, it's really pigmented and only took two coats to get the shiny application shown above. 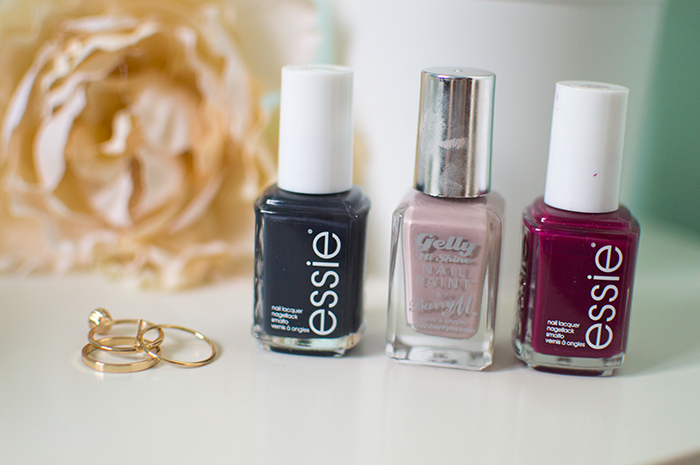 What are your favourite A/W nail polish shades?